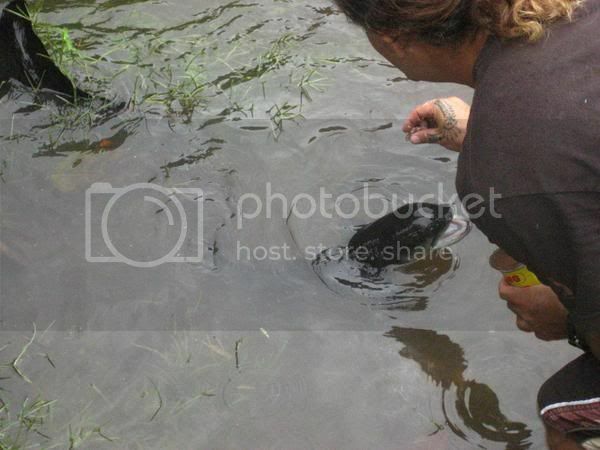 Home » Activity » Visit the Sacred Eels in Huahine! Visit the Sacred Eels in Huahine! On the “Garden Isle” of Huahine, a stream that is located under a bridge in the main town of Fare is home to 3 to 6 foot (1.8 m) long eels. These eels are deemed sacred by the locals in accordance with Polynesian mythology. Legend has it- The first eel crawled across the mountains from a pool in Arue, which is on the north coast of Tahiti. Feeling lonely, the eel courted a beautiful maiden from Mataiea and ended up marrying her. Huahine’s present day inhabitants supposedly descend from this unusual couple. While viewing these unique creatures you can buy a can of mackerel and feed the eels at your own risk! Previous Article Take a Drift Snorkeling Tour in Rangiroa- Thrilling Experience!